No doubt Assassin's Creed film is one of the best action films. It's based on a video game has the same name, and it will be released all around the world soon. its story revolves around Callum Lynch who is rescued from an attempt of execution by Abstergo Industries, after his decision to try a new device that opens genetic memories. While experiencing this amazing device, he finds himself lost in his grandfather's adventures, Aguilar, in Spain. Callum discovers that his family has a mysterious secret, so he started to learn more skills and powers from his grandfather to face the old enemies of the assassins nowadays. - Michael Fassbender playing the role of Callum Lynch and Aguilar de Nerha: Callum Lynch is the grandson of the assassin Aguilar de Nerha. - Jeremy Irons playing the role of Alan Rikkin: The Chief Executive Officer of Abstergo Industries. - Marion Cotillard playing the role of Sophia Rikkin: Alan Rikkin's daughter and a scientist in his company. - Brendan Gleeson playing the role of the father of Callum Lynch. - Michael K. Williams playing the role Moussa and Baptiste: Moussa is the grandson of Baptiste, a Haitian assassin that uses voodoo poison against his enemies. 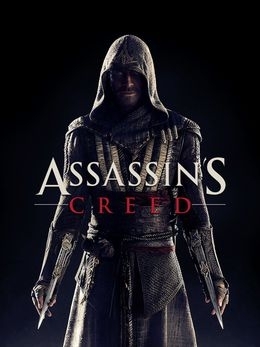 TheChief Executive Officer of Ubisoft Yves Guillemot said that New Regency will participate in the production of the film, on February 12, 2015. Production companies announced on the following day that Marion Cotillard will join the cast, and they expected filming to begin at the end of 2015. The leading actor Michael Fassbender announced in April 2015, that filming is set to begin in September 2015. In May 2015. Principal photography took place in so many countries like Malta, Spain and 007 Stage at Pinewood Studios, and started on August 31, 2015. Cinematography by Adam Arkapaw, and Andy Nicholson is a production designer. Production companies decided in October 2015, that Jeremy Irons and Brendan Gleeson will join the crew. This film was set to be released on December 21, 2016, after it was said in May 2013 that it will be released on May 22, 2015.